Awesome figure! Just as I hoped it would be. Packing was excellent, the paint on the model superb! 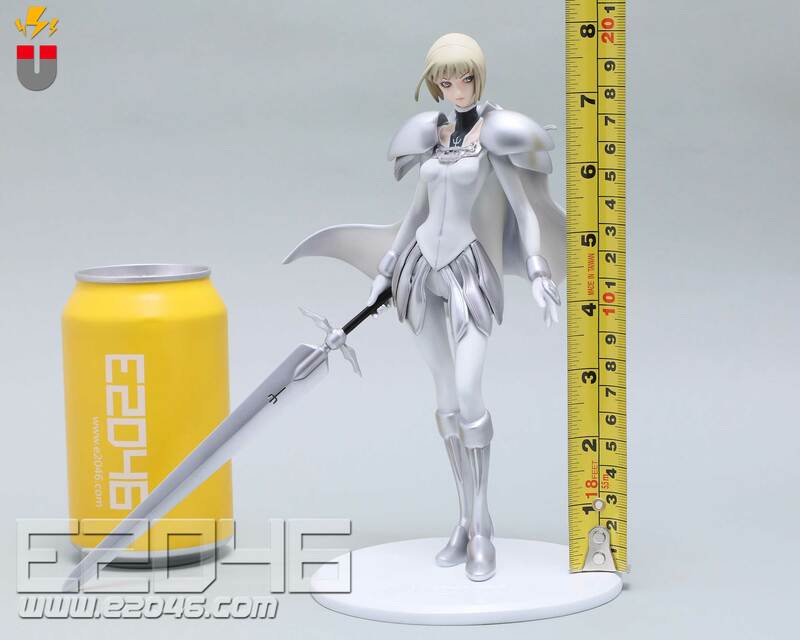 I highly recommend this for any Claymore fan. casting is good and no twisted parts. Absolutely stunning statue. 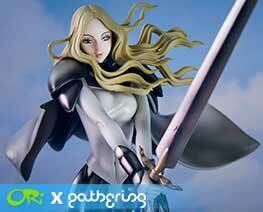 Claymore is a favorite manga of mine and it's wonderful to have such a wonderful rendition of Clare. The armor detail and paint job in general is amazing. My one small criticism is that she's leaning slightly to the right and backward, but it's a very small complaint for an otherwise perfect statue. She came very well packed. I love colors and the overall design. Love the re-design!! Great statue!! Fantastic model, fit together incredibly easily and is very solid afterwards. 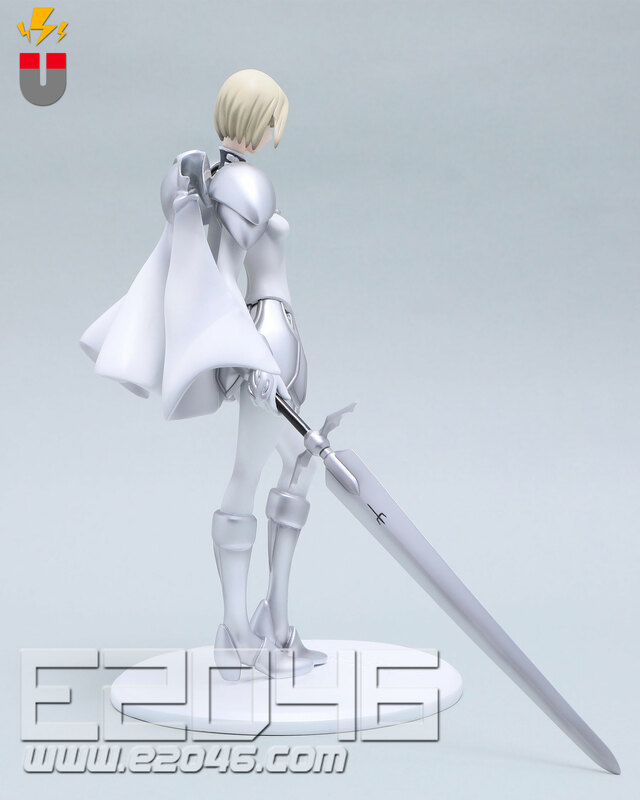 I love the ability that you can choose where her sword goes, either in her hand or the holster on her back. Face has great detail and so does the armour itself. 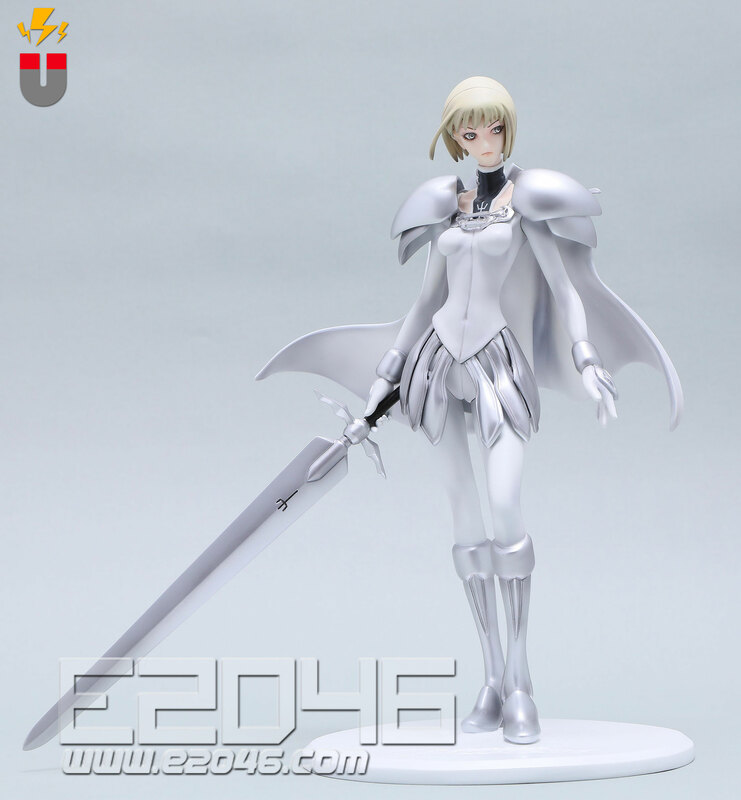 The Claymore specific base was also a very nice touch and the ability to swap which arm for her to use based on the manga. It was incredibly well packaged, I can't see how it could possibly be damaged in there, posting was very quick and efficient, any emails I sent were responded to very quickly and politely. This was my first purchase from e2046 and it's made me confident enough to pick up a few more pieces. Great work guys. High quality, beautiful design, like it so much! Thx! Very nice figure. Good detail and nice packaging. Though the paint work is stunning and I really enjoy the character, it was much smaller than I thought it would be. Unfortunately I also have to stand it next to something such as a wall just to get her to stand upright. Pretty but it does have some significant downfalls. One of the most beautiful figures I've owned. Very detailed and I like the black and gold Clare version. 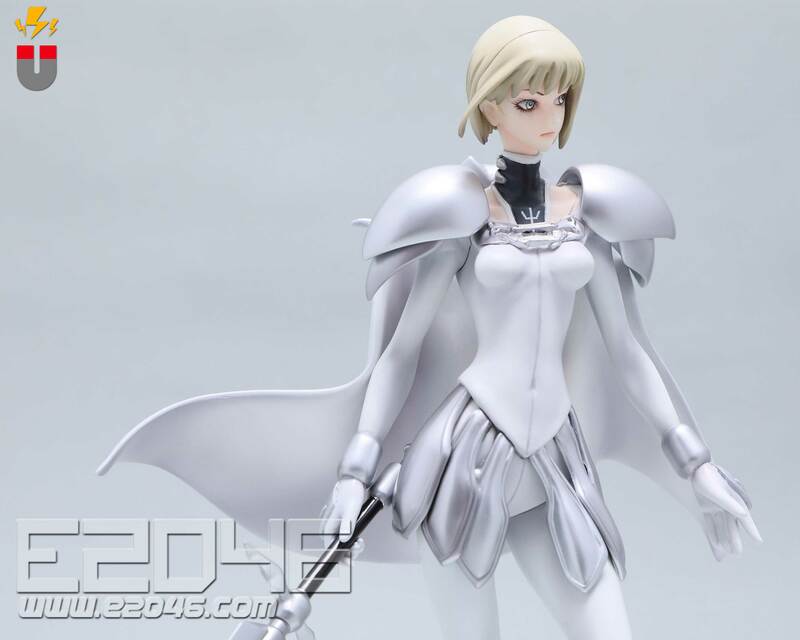 This version is more impressive than the Megahouse grey and silver Claymore version. I highly recommend obtaining this figure if E2046 produces any more. The figure came protected and packaged well. Thanks again. I was vacillating for a really long time before making the decision to get this, and now that I've done so, I don't regret it one bit. 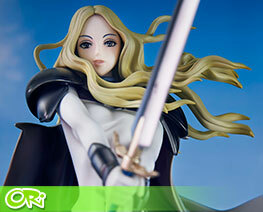 Visible parts of the figure are painted to near perfection, and the sculpting is more or less flawless. 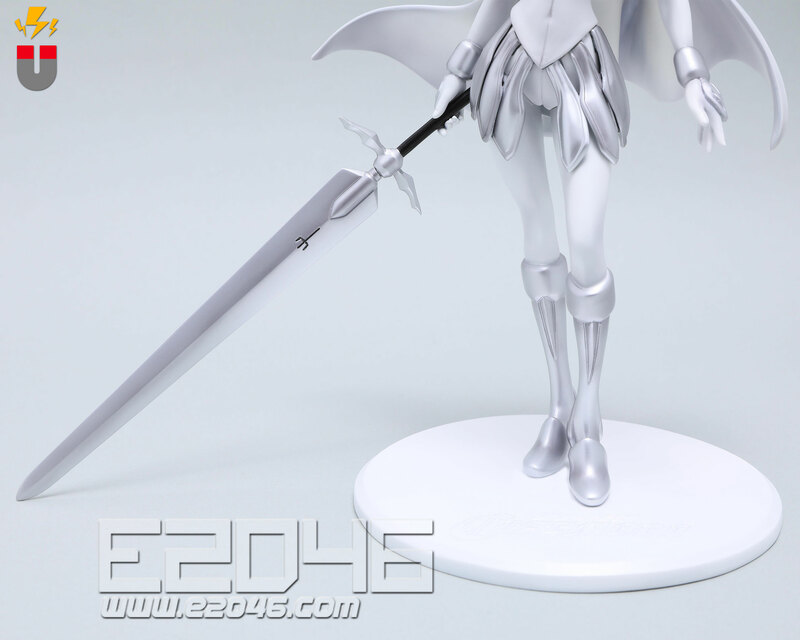 Two minor complaints, however: 1) The base isn't perfectly flat, so it wobbles slightly when displaced 2) Clare's sword doesn't sit really well in her hand due to the somewhat imperfect connection between the hole in her palm and the peg on the sword, and as a result it looks as though the hilt is balancing on her fingertips. 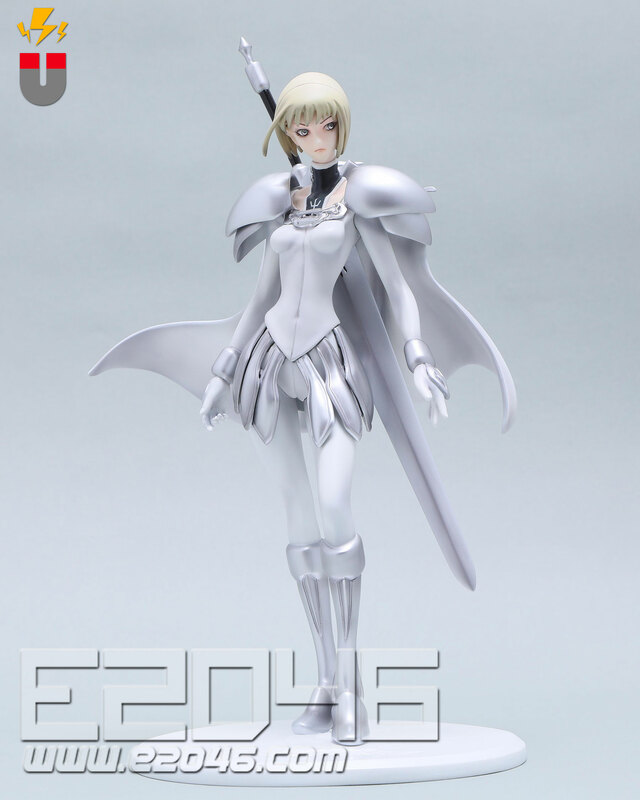 Nevertheless, minor quibbles aside, it is doubtlessly a great figure, and I would recommend it to any Claymore fans with the cash to spare. I hesitated for a long time before taking this one, but now than I had it, I really don't have any regret. The look, the painting, all is well-done, very beautiful. I own both the original and now the e2046 version as well. And I can say, the custom version is a breath of fresh air. Its superb quality and all additions aside, a great item. Extremely gorgeous piece of art. I loved the anime series, so I had to have this painted figure to add to my collection. Keep it coming Gathering! Excellent service very pleased with results highly recommended site. I think I may be becoming notorious at e2046 for very harsh reviews of their Gathering line (my average review score so far is something like 7.3 while everyone else hands out 10s like there's no tomorrow) so this may come as a suprise, but simply put: 10/10. That's right, this figure is near flawless. Not only has e2046 done a fantastic custom paint job that is a brilliant idea and neat twist on the character (I'm a big claymore fan), but they have also gone to the extra effort of creating extra scuplt-work for the figure. This extra effort is well rewarded and really does complement the original design brilliantly. The original design was fantastic in its pose and artistry in the first place but e2046 did not rest and imaginatively improved on it. It includes a chest plate and mouldings on the skirt, shoes and other small details too many to mention here. A fantastic piece and it must be said again: 10/10. P.S. Thanks e2046 for working on and returning the damaged display base for Raquel ver 3. Your customer service and commitment to customer satisfaction was excellent and deserves praise! This is my first time to purchase in here. I am so happy to see the figure arrived with perfect condition, and the figure itself is also prefect! You guys did great job! Cheers! Superb in quality. Really worth the purchase. Thanks e2046! Oeps , I almost forgot to leave feedback ... holidays ... Surprise when I opened the box: what a little figurine ... but very nice done with a lot of details and superb paintjob. 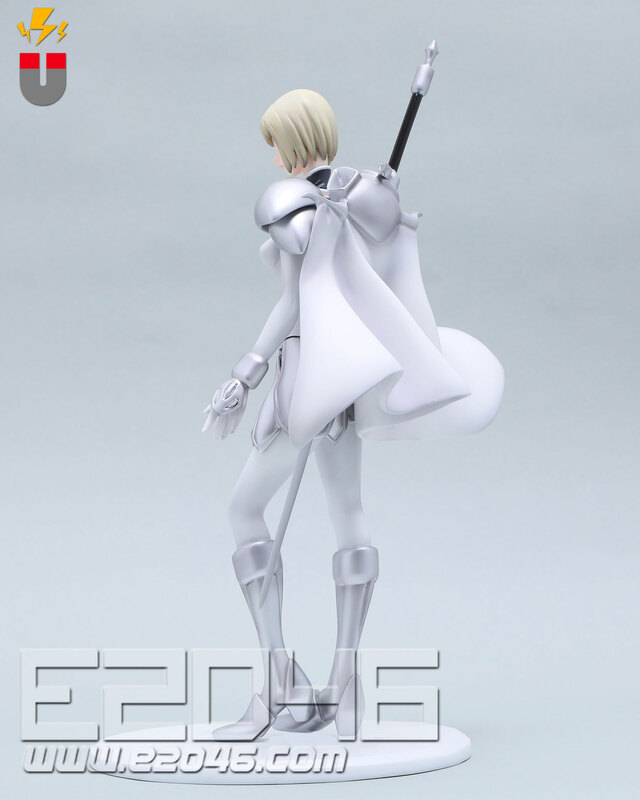 A friend has the normal PVC version and we agreed, this one of Gathering is better and much more beautiful because of the colors used. Thanks E2046 for the nice girls and the good packaging ! I recieved this figure in perfect condition! Assembly was easy and the paint job is superb as always. However she does stand a little aslant. Got this one in and have to say that i'm happy to have this one. The attention to detail is still something that is very impressive as always. Another great figure to my ever growing collection! I've received clare within the mail a day ago. While i admire and respect the original, i feel gathering's representation to be more character personafied. Packaging by gathering is top-noch as always and the paint job is virtually flawless. 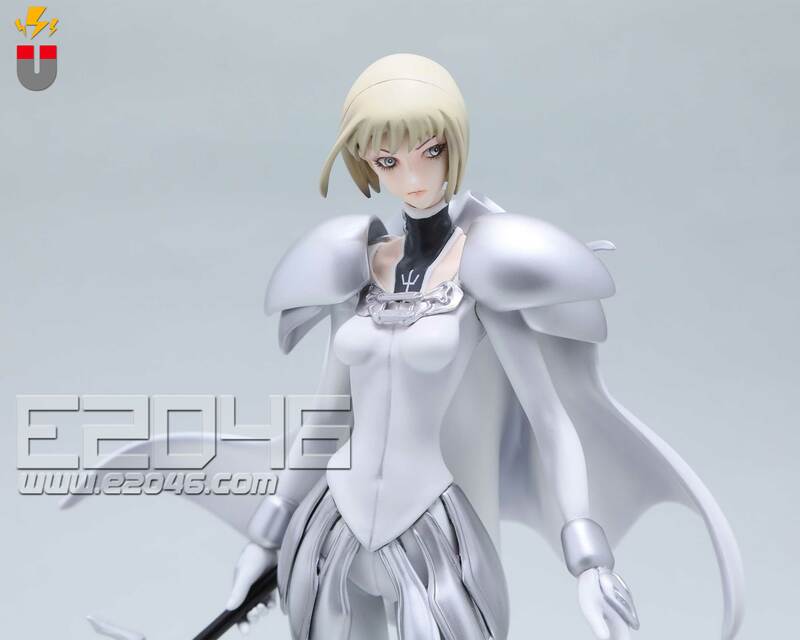 Any fan of claymore should not miss on this iteration of clare. Keep up the great work e2046. Clare arrived in the mail today, great packaging and not to mention it only took 9 days! Upon opening her up, my dad grabbed her at first sight and said "doesn't look like hand painted to me, more like factory painted" The painting is almost flawless, only 2 minor bubbles I've noticed. 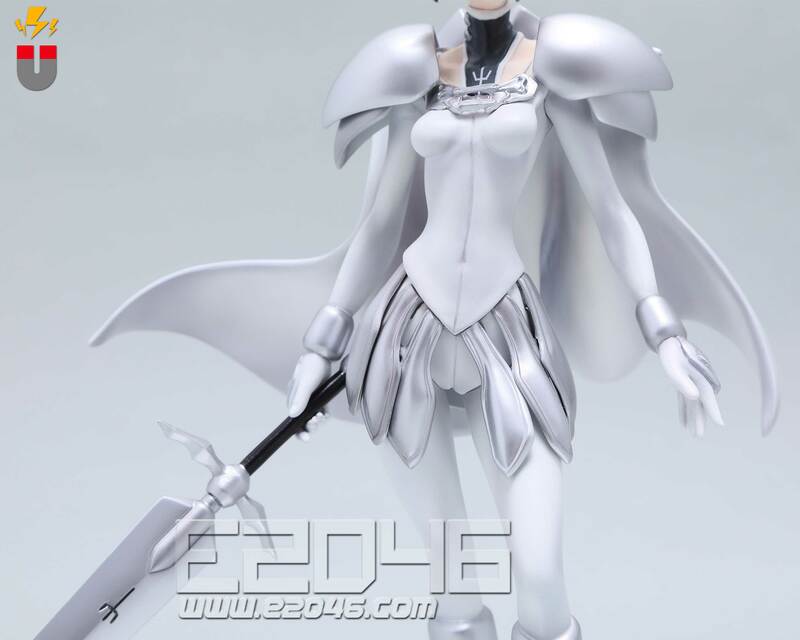 The detail on her face is way better than the pvc version. And most of all, i just love the color contrast on this Clare Knight version. My first time purchasing from E2046, very satisfied with the result. Looking forward to future businesses together. 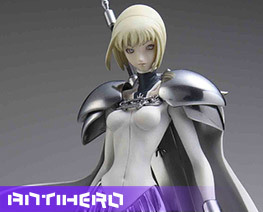 Definitely a good buy and i recommend it to any Claymore fans. Arrived today with Elf Rose. Clare looks great. Everything just fits into place perfectly so I don't need to use epoxy glue or anything to hold pieces together. No broken pieces, perfectly packed. Very good package and product ! !